We have extensive experience in PVDF coating (polyvinylidene fluoride) applications with a process that achieves quality & durability requirements. 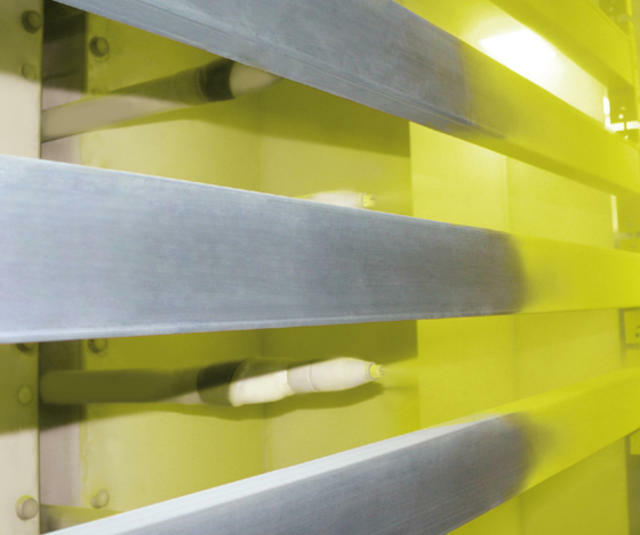 The use of highly efficient paint application increases productivity and the profitability of your lines. Electrostatic bell application is highly recommended with or without electrostatic gun touch-up. 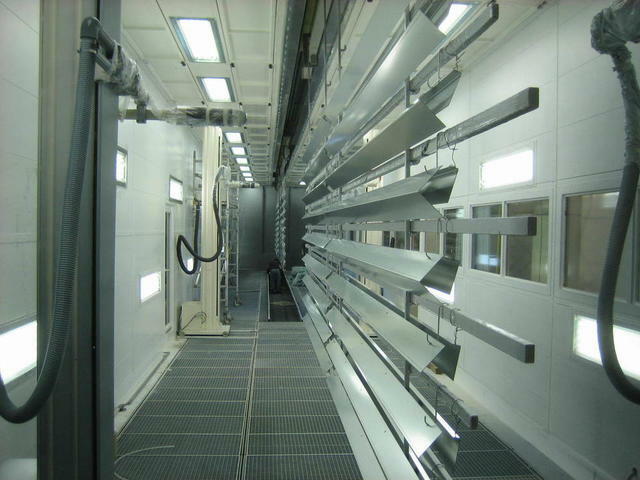 Our wide range of products includes a powder line - great for aluminum profiles. An oscillating gun on a reciprocator can improve the application. We can equip conventional horizontal lines or high output vertical lines with our automatic powder guns.